We usually set data usage limits for mobile networks, but what about Wi-Fi and Ethernet connections? 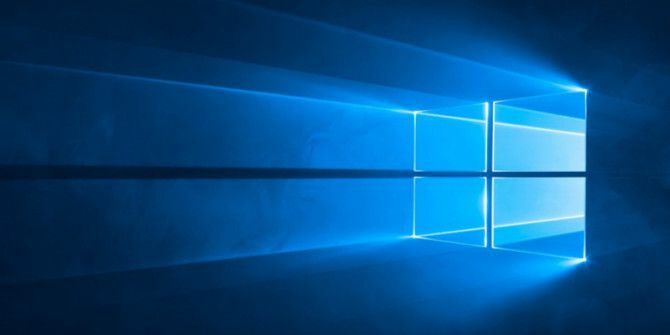 With the Windows 10 RS4 build 17063 update, you can set a data usage limit How to Limit Data Usage and Internet Bandwidth in Windows How to Limit Data Usage and Internet Bandwidth in Windows If you want to maximize speed or stay within an internet data limit, you need to manage your bandwidth. We show you how to limit wasteful apps in Windows. Read More for all connections — both metered and non-metered. It’s slated to be available around March 2018, and improved data usage is one of its promised features. In a metered connection, ISPs charge by data used: you have a specific amount and you have to buy more data if you reach the limit. A data usage limit allows you to monitor how much data you’re using, allowing you to postpone bandwidth-intensive tasks when on a metered connection. Open the Settings (keyboard shortcut Win + I). Go to Network & internet > Data usage. In the dropdown box for Show settings for, your current Wi-Fi network is displayed. If there are more than one, select the right one from the dropdown. In the Data limit section, click the Set limit button. A flyout appears with options for Limit type, Reset date, Data limit, and Unit (as MB or GB). For instance, you can set the Reset date to match your monthly billing cycle. Configure the options as above and click Save. The improved data usage page will now show you total data consumed, the balance data left, and the days left until your next reset date. If you want to see your data usage at a glance just right-click on the Data usage tab in Settings and pin it to the Start menu as an always accessible live tile. Those of you not enrolled in the Windows Insiders Fast Ring program will just have to wait until the update is finalized in March 2018. Do you think it will help you manage your data better? If you have got the update, did you notice any mismatch between the data reading here and that reported by your ISP? Explore more about: Bandwidth, Data Usage, Troubleshooting, Windows 10.